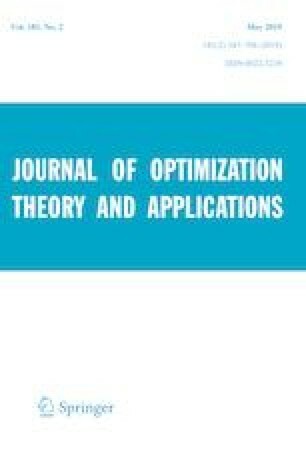 In this paper, we investigate a robust nonsmooth multiobjective optimization problem related to a multiobjective optimization with data uncertainty. We firstly introduce two kinds of generalized convex functions, which are not necessary to be convex. Robust necessary optimality conditions for weakly robust efficient solutions and properly robust efficient solutions of the problem are established by a generalized alternative theorem and the robust constraint qualification. Further, robust sufficient optimality conditions for weakly robust efficient solutions and properly robust efficient solutions of the problem are also derived. The Mond–Weir-type dual problem and Wolfe-type dual problem are formulated. Finally, we obtain the weak, strong and converse robust duality results between the primal one and its dual problems under the generalized convexity assumptions. The authors are grateful to the anonymous referees, the Associate Editor and Professor Giannessi for their constructive comments and valuable suggestions, which have helped to improve the paper. This research was partially supported by the MOST 106-2923-E-039-001-MY3, the Natural Science Foundation of China (11401487), the Basic and Advanced Research Project of Chongqing (cstc2016jcyjA0239), the China Postdoctoral Science Foundation (2015M582512) and the Fundamental Research Funds for the Central Universities.